A teacher in northern Alberta is racing to piece together a dying Indigenous language before the last few people who speak it are gone. For the past two years, Victoria Wanihadie has travelled the Peace River area to find people who remember the Beaver culture and language. She jots down their memories and records the sounds of words that might otherwise be forgotten. "I think this is my purpose," said Wanihadie, a part-time high school teacher and Indigenous educator in Grande Prairie, Alta. "Our stories haven't been told, and I want to share our history with others." Eighty people in Alberta reported they can speak Beaver, according to 2016 census data released in October by Statistics Canada. Fewer than 50 identified the language as their mother tongue. "We have to find a way to bring the language back to this area," Wanihadie said. "So that we can all heal from the past." Wanihadie grew up in the hamlet of Grovedale, Alta., believing she was Cree. Her parents rarely spoke about their Indigenous roots. "My parents moved away from the reserve and they did not share their Beaver history with us," she said. "I think that my parents wanted to protect us from being hurt, and from being discriminated against." Two years ago, Wanihadie decided to learn more about her heritage. That's when she discovered her family was Beaver, not Cree. Her grandparents had been cut off from their Beaver language and culture at residential school. After returning to the community, they adopted the Cree dialect spoken by members of the nearby Horse Lake First Nation, Wanihadie said. When she discovered her family's past, Wanihadie said, she felt lost. "I didn't know who I was. As far as being Indigenous, I had so many questions." Her uncle suggested she talk to elders and relatives in Clear Hills County, about 230 kilometres northeast of Grande Prairie. "I got in a vehicle and I went straight there," Wanihadie said, recalling how nervous she was as she drove through her ancestral land for the first time. "I didn't know what I was doing, or where I was going to. Or what I was searching for." In the spring of 2015 she arrived, unannounced, on the doorstep of the McAllister family near the village of Hines Creek. "A lot of them were just as lost as I was about their history and about knowing who we are," she recalled. Bruce McAllister, an old friend of her grandfather, invited Wanihadie to his farm to hear stories of the past. "It just took off from there," she said. "I just felt this strong passion to want to revitalize our language and our culture." McAllister's grandparents were also Beaver people, who taught the language and culture to their first five children. One by one, the children were forced into residential schools. McAllister doesn't know what happened to his aunts and uncles while they were separated from the family, but said the experience silenced their mother tongue. "I watched my aunts and uncles grow old and mad at the world, and they were just different," McAllister said. "And I didn't know what was wrong. "What they would have gone through, I couldn't imagine." McAllister remembers catching fragments of the language, whispered in prayer by his grandmother as she gathered healing plants in the forest. "She'd picked these roots and always say thanks, say a prayer," he recalled. "She'd always look around, make sure there's nobody watching her do this thing besides me." Though McAllister never learned the language, as president of the Fort Dunvegan Historical Society he has dedicated years to studying the Beaver people. When Wanihadie asked for his help, he was eager to share his research. Working with her to revive his grandparents' language has given McAllister a sense of purpose. "It's exciting," he said. "It's everything I've dreamed of." McAllister introduced Wanihadie to people who speak Beaver and helped her piece together the ancient vocabulary word by word. Wanihadie is also working with First Nations linguists to reconstruct Beaver grammar, relying on languages such as Tsuut'ina for guidance. Spoken by Dene people near Calgary, Tsuut'ina is experiencing a resurgence with the help of linguists such as Bruce Starlight. 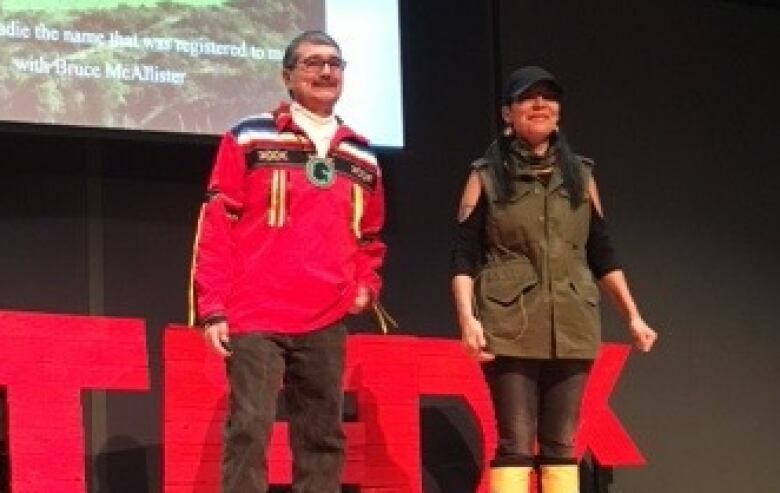 "Dene people are very much into reviving their languages," said Starlight, language commissioner for the Tsuut'ina Nation. "The languages are our identity, and everything is in the language." Tsuut'ina is rooted in traditional Beaver, Starlight said. The grammar and structure of the language, untouched by anglicisms, form the ideal blueprint to rebuild Beaver. "All we're doing is providing the tools for them to revive Beaver," he said. "My part is to teach them what I know, and I know our language extensively. It's up to them to do their own research to find their way back to their own language." Two years into her project, Wanihadie is scrambling to record Beaver words before time runs out. As Beaver speakers grow older, she fears the language will soon be lost. She is also hosting traditional ceremonies in hopes that will reconnect Beaver people scattered throughout northern Alberta. Wanihadie shares her knowledge with teachers at local schools, including the Indigenous instructor at Grande Prairie Regional College. "By doing that, hopefully they'll want to join along with my journey of bringing back a culture and language," she said. "Because I can't do this alone." Her work has already brought together Indigenous and non-Indigenous people throughout Peace River Country. In October, a farmer volunteered his field near the town of Fairview, Alta., for a tea dance ceremony. The land once belonged to her ancestors, Wanihadie said. For the first time in 100 years, the feet of Beaver people beat a traditional circle-dance into the grass. "This was a historic moment," Wanihadie said. "I want to be able to honour my ancestors, including my grandparents who suffered in residential schools. I think they'd be proud." Starlight said Wanihadie's fight gives him hope a new generation of Indigenous people can heal the wounds of their ancestors. "It makes me feel that I can close my eyes in peace for my last breath," Starlight said. "That I can close my eyes in peace and know that I contributed to something that needs to be continued. "I will not be ashamed to pass to the next world. That's how it makes me feel ... we did all we can, as much as we can. And we did quite a bit." 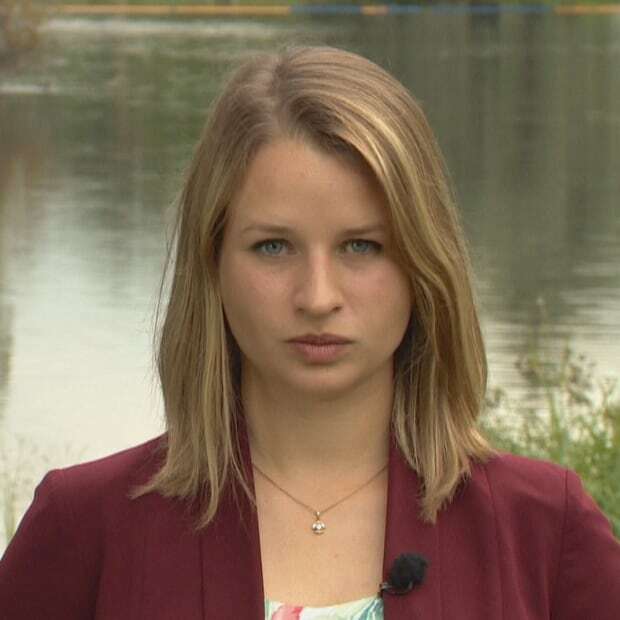 Zoe Todd is a CBC video journalist based in Alberta, filing videos and stories for web, radio and TV.